While sorting through various piles and booths at the Flea Market last weekend I stumbled upon this little cutie in a bag, marked $1, and I simply could not pass her up. You see this poor dear, with her legs broken off, she does seem rather sweet and like an easy-peasy fix, I’m sure. Truth is her arms are also off in this image and there are several pieces of rotten elastic stuck inside her torso. 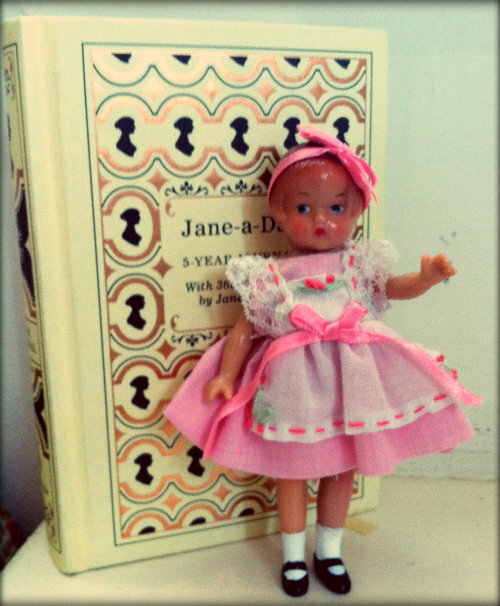 She is a wee patsyette reproduction doll from the Effanbee line of Patsy dolls. She’s just about 5 inches high and cute as a bug’s ear. Well, after quite a bit of finagling (and maybe a few muttered curses) I managed to get all of the gross pieces out and her limbs nicely restrung. She is not the first, nor will she be the last of the Pasty dolls I’ll re-string. I have been collecting Effanbee repros since I was a young teen and it seems that a great many of them were made using a terrible rubber-band material for the stringing process. I’ve dealt with rotten ones, snapped ones, melted(!) ones and ones that were simply stretched out over time. I actually find the process of re-stringing to be an interesting one (though I will admit to preferring the larger dolls – they have more room to finagle about in) and I am always thrilled with the happy end product. Doll Doctor, just another service I offer, tee-hee! You lucky girl to find an Effanbee Wee Patsy Doll..I have started a group for anyone that loves this little dolly: Please join us..
Lucky is, indeed, the word! Thanks for the invite to your group, I can’t wait to check it out! 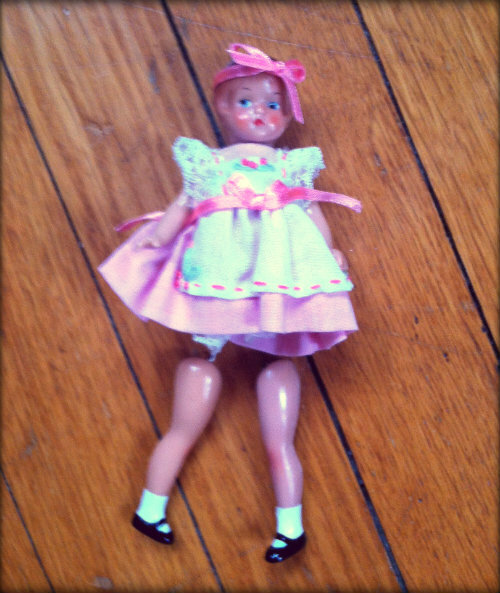 My repro Wee Patsy just fell apart when I picked her up, and I can’t get her restrung for the life of me. Any advice? If it’s both legs and arms that fell off (I’m guessing that is the case since in almost every instance that’s what’s happened to me) what you need is some elastic thread. If you take that and use a wide-eyed needle you start with one arm (leaving a long tail of the thread hanging out by the arm) go through to the other arm, then down to the leg and over to the other leg. You should have all the limbs connected loosely with the thread (it’s okay if they aren’t even touching the body if it makes it easier). Now leave a long tail of the thread on the leg and go back to the tail you left at the arm you started on. pull it down inside the body to the leg you ended on. With both tails pull the thread tight until the limbs are all tightly connected to the body and knot the thread. It’s a little tricky, but you should be able to get the knot quite tight and then tucked into the body through the leg hole. I hope this helps a bit – I figured out the re-stringing through some trial and error, but this is more or less what I do. Let me know if it worked for you! I had to bring in a crochet hook too, and my utility knife to make the hooks on her limbs open enough to hold the thread, but I operated this morning, and it worked! This little doll means a lot, thank you for helping me repair her. 🙂 She’s a Daisy Basket, but I’ve customized her slightly by giving her brown eyes, so that she looks a bit like my late grandma. Which size is Patsy Joan again? Patsy Joan is the 15inch size. I love the idea of customizing them and giving them a bit more personality! Ohhh, so the ones that are getting big enough for a hug. LOL I tend to customize many of my dolls in one way or another, even if by just changing the clothes on the dressable ones. This one here (I call her Dot) also got a bit of an alteration on her dress, because the big white collar just seemed too large for the little doll. And now she’s wearing a bit of the purple elastic cord that she’s strung with on one wrist for a bracelet. 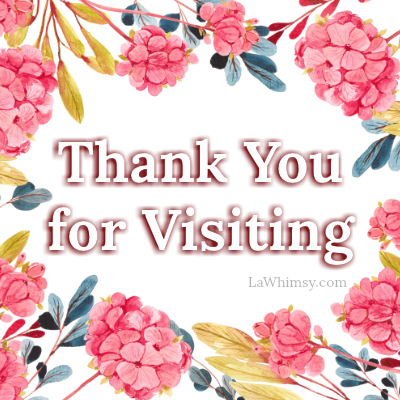 Hello Rebecca ~ that’s really helpful info, thank you for sharing! Personally, I prefer to use elastic thread instead of rubber bands to re-string the dolls. It’s easier, more flexible to work with and I tend to have it on hand in a variety of strengths and widths. Elastic thread..That is so much better and will probably last longer too..Have Fun with your dolly. GOD Bless.